THIS IS A PERSONAL REVIEW OF SOME THEMES AND ISSUES WHICH FEATURE IN DEREK WALCOTT’S POETRY. YOU SHOULD CONSIDER THESE IDEAS, THEN RE-EXAMINE THE POEMS MENTIONED FOR EVIDENCE TO SUBSTANTIATE OR CONTRADICT THESE INTERPRETATIONS. IN OTHER WORDS MAKE YOUR OWN OF THESE NOTES, ADD TO THEM OR DELETE FROM THEM AS YOU SEE FIT. W. B. YEATS ONCE SAID THAT HIS POETRY WAS ‘BUT THE CONSTANT STITCHING AND RESTITCHING OF OLD THEMES’. CHECK THIS OUT FOR YOURSELF IN RELATION TO WALCOTT AND ALL THE OTHER POETS ON YOUR COURSE! 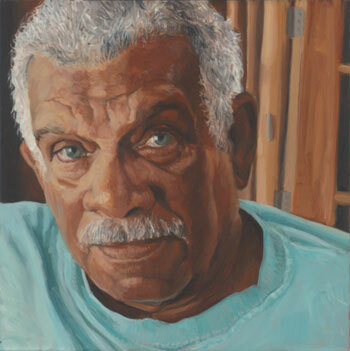 Derek Walcott is a Caribbean poet who was born in 1930 in Castries on the island of St. Lucia, one of the Windward Islands in the Lesser Antilles. Both his grandmothers were said to have been the descendants of slaves. He was born into a Methodist, English-speaking family although the dominant tradition on the island was Catholic and French speaking. His father, described in the poem “A Letter from Brooklyn”, was a civil servant and painter who died at the age of 34 when Derek was only one year old. He began writing poems at the age of fourteen and plays at the age of sixteen. 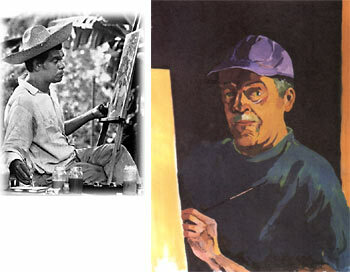 After studying at St. Mary’s College, a school run by the Irish Presentation Brothers in St. Lucia and at the University of the West Indies in Jamaica where he graduated with an Arts Degree in English, French and Latin, he moved in 1953 to Trinidad, where he worked as a theatre and art critic. In 1954 he married Faye Moyston. They separated in 1956 and divorced the following year. He founded the Trinidad Theatre Workshop in 1959, which has produced his plays (and others) since that time, and he remains active with its Board of Directors. At the age of 18, he made his debut with his first collection 25 Poems in 1948, but his breakthrough came with the collection of poems, In a Green Night, in 1962. That same year he married his second wife, Margaret Maillard. In the 1960’s his Selected Poems was a publishing success and he was awarded a substantial grant by the Rockefeller Foundation. In 1970 his best known play, Dream on Monkey Mountain, was published and later performed with great success in New York. He has learned his poetic craft from the European tradition, but he remains mindful of West Indian landscapes and experiences. In 1973 he published Another Life, a long narrative book-length poem, offering autobiographical details and opinions. In 1976 he published a collection Sea Grapes (including the poem “Endings”) which dealt with changing phases – beginnings and endings – of his life. After a break with the Trinidad Theatre Workshop in 1976, Walcott directed his attention increasingly to the United States, where he has held a number of teaching positions, including a long-standing appointment at Boston University. In 1979 Saint Lucia achieved independence following the collapse of the West Indian Federation. In 1979 he published The Star-Apple Kingdom, a very successful collection containing the long poem, “The Schooner Flight”. He founded the Boston’s Playwright’s Theatre at Boston University in 1981 hoping to create a home for new plays in Boston. That same year he was granted an award by the American MacArthur Foundation worth over $250,000. In 1982 he published a collection of poems called The Fortunate Traveller and, that same year, married Norlene Metivier, his third wife. In 1986 his Collected Poems were published and sold remarkably well. His 1988 collection of poems, The Arkansas Testament, written about his life in Saint Lucia, (dealt with in part one entitled “Here”) and his life in America (dealt with in part two entitled “Elsewhere”) contained the following poems: “To Norline”, “Saint Lucia’s First Communion”, “Pentecost”, “The Young Wife”, “For Adrian” and “Summer Elegies”. In 1989 he was awarded the Queen’s Gold Medal for Poetry, the first non-English writer to be granted the award. 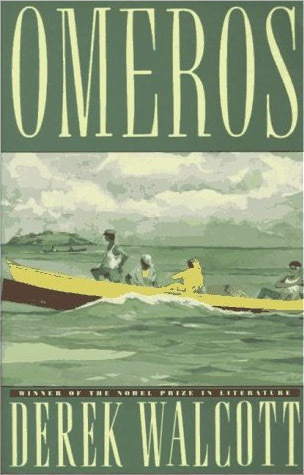 Omeros (modern Greek for Homer) was published in 1990, just after his sixtieth birthday, and is Walcott’s most ambitious work to date, a book-length poem that places his beloved West Indies in the role of the ancient bard’s Cyclades. Gods and heroic warriors do not inhabit this retelling of the Odyssey, but simple Caribbean fishermen, whose Greek names register their hybrid identities. In 1992 he became the first Caribbean writer to win the Nobel Prize for Literature. With his artistic and financial success he bought a house on Saint Lucia and spent more and more of his time on the island. In 1997 he brought out a new collection, The Bounty, which dealt with themes such as old age and death. In 1998 he co-wrote a Broadway musical, The Capeman, with the singer/songwriter Paul Simon. Unfortunately it proved to be the biggest flop in the history of Broadway musicals closing with losses of $11 million. In 2000 he published the long poem Tiepolo’s Hound, a biographical study of the Impressionist painter Camille Pisarro. That same year his twin brother, Roderick, died. In 2004, at the age of 74, The Prodigal, his sixteenth book of poetry was published. In 2009, Walcott began a three-year distinguished scholar-in-residence position at the University of Alberta. In 2010, he became Professor of Poetry at the University of Essex. He now divides his time between his home in the Caribbean and New York City. The poem deals with the influences that were important in Walcott’s life and career as an artist. Religion, particularly the Methodist religion, was an important part of his father’s life and has also influenced his own poetry in both substance and style. The artistic example of his father is celebrated in this poem. This is a short one-sentence poem on the theme of transience. The poem offers examples of things that fade and end. Even love is seen as transient. The idea of Beethoven’s hearing ending offers a deeper meaning and a deeper image. This is a brief meditation on lost love and the power of memory. The poem also considers the evocative and memorable power of poetry. The theme of the sea and its fluctuating status is important in Derek Walcott’s poetry. This is a poem written to comfort a husband who has lost his wife. The poem explores the complex processes of grief, including guilt, despair and comfort. There is a contrast evident between how grief affects a husband and how grief affects their children. The poem concludes by asserting the primacy of love over death. The poem describes one of the most important religious festivals on the island of Saint Lucia. At first the poem describes the communicants. It sees the religious ceremony as akin to a form of slavery. The poet wishes to liberate the children to find their own way to heaven. This is primarily a poem about the nature of belonging. The theme is the power of the Caribbean landscape to affect the poet’s very soul. There is a strong contrast between the constrictions of city life in winter and the freedom of the sea in Saint Lucia. 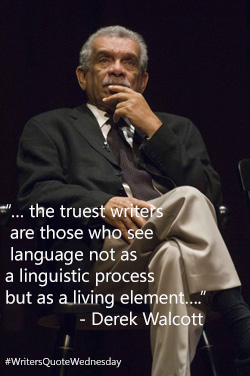 Derek Walcott was brought up in the Methodist religion. His father’s religious faith and the influence that had on both his father’s life and on his own life is dealt with in the poem A Letter from Brooklyn. In that poem the simple faith of the old lady restores the poet’s faith in God. He offers a critical perspective on the traditional religious practices of Catholicism in Saint Lucia’s First Communion where he sees the children as innocent victims of an institutionalised religion. But the poem does have a positive religious perspective as he imagines the children flying heavenward beyond prejudice and evil. Pentecost has not only a religious title but also a religious conclusion as it celebrates the sense of a soul finding itself in a natural seaside environment away from the soulless city. Derek Walcott was married three times and many of his poems deal with themes of love. The dissolution of his marriage to his third wife, Norline Metivier, is treated with metaphoric brilliance in To Norline, a poem that charts the end of a relationship. Death can also end a relationship but in The Young Wife Walcott explores the manner in which love can overcome death and the ending of life. 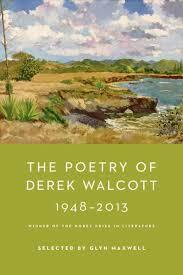 Derek Walcott’s father died when the poet was only one year old but his death had a profound effect on his poetry. This is explored in A Letter from Brooklyn. That positive view is also expressed in another poem on death and grief, The Young Wife, where a sense of hope evolves out of the devastation of grief. Derek Walcott uses a variety of poetic forms in the poems on the course. • There is a loose, relaxed narrative form, using dialogue and description, in the poem A Letter from Brooklyn. There is a complex use of couplets in the poem Endings. In this brief poem the couplets are short, pithy and, like “the silence that surrounds Beethoven’s head”, imbued with a sense of power and mystery. The most common form evident in these poems is the four-line quatrain, influenced to some extent in the Methodist hymns Walcott learned in his childhood. The themes, as well as the form, often reflect a religious content, perhaps not in To Norline, but certainly in Saint Lucia’s First Communion, Pentecost, and The Young Wife. 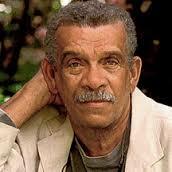 Derek Walcott was born into an English speaking family in the predominantly French-speaking island of Saint Lucia. His use of English belongs to the English poetic tradition but it is also influenced by the religious language of his Methodist up-bringing and also by the traditional patois of Creole English. He has a very fine ear for dialogue as is evident in the manner in which he captures the old-fashioned religious language of the elderly correspondent in A Letter from Brooklyn. There is an astute religious sensibility present in many of the poems. Pentecost uses religious terminology as does Saint Lucia’s First Communion. The poetic sensibility of this modern poet is revealed in his constant and varied use of metaphor and simile (see below). From the beginning Derek Walcott has used both metaphor and simile with great inventiveness and originality. The metaphor of a spider’s web runs throughout A Letter from Brooklyn and helps to unify the different strands of this complex, sensitive treatment of old age, art and death. In Endings the “silence that surrounds Beethoven’s head” becomes a metaphor for the mysterious of endings and beginnings while the poem is bolstered by the clever use of similes. At other times the use of metaphor and simile reveals a wonderfully visual imagination as in Saint Lucia’s First Communion where a caterpillar is compared to an accordion and communion girl’s compared to candles. 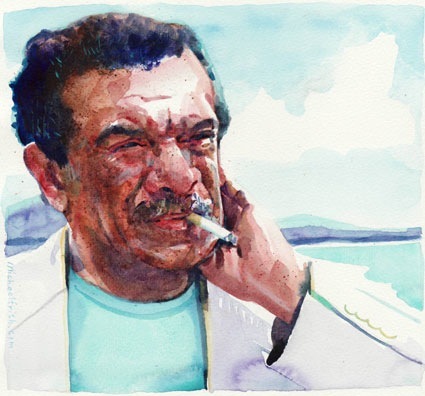 Although Derek Walcott uses a variety of poetic forms in the poems on the course, his use of rhyme is more subtle than regular, more attuned to the off-beat sounds of the Caribbean than to any formal pattern. An early poem like A Letter from Brooklyn uses rhyme more regularly than is evident in the latter poems. There are many rhyming couplets in this narrative poem and it ends with a distinctive rhyme in the concluding couplet: believe/grieve. Another poem using couplets, this time very short-lined couplets, is Endings. In this poem, although none of the couplets rhyme, there are subtle echoes throughout the poem involving off-rhymes ( flesh/flash, sand/end/sound) assonance (fail/fade) and alliteration (fades from the flesh, flowers fading like the flesh, sweating pumice stone, silence that surrounds). Five of the poems are written in quatrains but none of these employ regular rhyme schemes. To Norline is the closest to an ABAB rhyme scheme with its half-rhymes and assonantal echoes. The rhymes are purposely faint: dawns/sponge, come/palm, house/yours, tern/turn. This poem also uses alliteration cleverly, particularly on the “s” sounds to convey the sound of the surf on the beach: slate, surf, sponge, someone, still-sleeping, salt-sipping and some. The rhyming scheme in Saint Lucia’s First Communion varies from a loose ABAB in most stanzas to AABB in the third stanza and ABBA in the fourth stanza. There are assonantal patterns throughout the poem (cotton frock, cotton stockings, pink ribboned missals, caterpillars accordion). Pentecost uses rhyme more regularly than in any of the other quatrain poems: concrete/street, show/snow, roof/proof, shoal/soul. As in many of the other poems, the use of alliteration, particularly on the “s” sounds, is very evocative: slow scriptures of sand/that sends, not quite a seraph. Contrast: Many of the poems use a form of contrast to emphasise their thematic concerns. Pentecost comes from a book, The Arkansas Testament, which is divided into two contrasting sections entitled “Here” and “Elsewhere”. The poem contrasts the soulless, winter, lost city where he works with “the slow scriptures of sand” he finds in his warm Caribbean home. There is a stark contrast between the dead and the living in the poem, The Young Wife. In this poem the contrast is overcome by the sense of love that accompanies the end of the poem. Sample Answer: Write a personal response to the poetry of Derek Walcott. Of all the poets on the Leaving Cert course, Derek Walcott, in my opinion, is the one who has most to say about the ‘big issues’, about life, the universe, and everything. I would recommend his poetry to anyone who has lost someone close to them, or to anyone who finds themselves wondering about man’s place in the universe. There are three aspects of Walcott’s poetry in particular that appeal to me: his approach to the notion of ‘endings’, his poems about lost love, and his poems about bereavement. I’m not saying that Derek Walcott has the answers to all the questions that surround these issues; just that he asks them in a very beautiful and enlightened way. One aspect of Walcott’s poetry that really hit home with me was his focus on the way everything in this world is moving slowly but surely toward its end. ‘Endings’, for example, depicts how things ‘do not explode, / they fail, they fade’. Everything, the poem maintains, is disappearing, but too quietly for us to notice. Things fade away as gently and subtly, ‘as the sunlight fades from the flesh / as the foam drains quick in the sand’. We no more notice most things disappearing than we do the water draining into the sand at the beach. Reading his poetry, we are constantly reminded, of the fragility and preciousness of all things. His work reminds us to enjoy what we have while it lasts. For me, one of the finest aspects of Walcott’s work is his depiction of lost love. ‘To Norline’, is filled with a melancholy longing for a love that has been and will never be again. This poem paints a sad portrait of the poet walking along an empty beach remembering his lost love. He seems certain that ‘someone else’ instead of him will soon be enjoying Norline’s affections. His poetry is always keenly aware of the fact that love inevitably fades away. As he puts it in ‘Endings’, ‘love’s lightning flash / has no thunderous end’. Love, like everything else, fades away quietly, without us even noticing, ‘it dies with the sound / of flowers fading’. We can no more notice love fading away than we can hear a flower withering. All in all, then, I would recommend the poetry of Derek Walcott to anyone who has had their ‘heart broken’! His writing provides real solace and comfort for anyone whose relationship has just ended. Bereavement is one of Walcott’s most recurring themes and he deals with it magnificently. He never shrinks from depicting the true horror of bereavement. ‘The Young Wife’, for example, is a moving depiction of great loss. This poem is about a man whose wife has just died from cancer. He must mourn her quietly so as not to upset their children, ‘the muffled sobbing / the children must not hear’. The house he lives in is haunted by memories of his departed partner. There are certain drawers in the house which he ‘dare not open’ because the objects they contain would remind him too painfully of her. Despite this obvious emotion and pain, however, his poems invariably contain an element of hope. In this case, the wife may have been claimed by cancer at a tragically young age but she somehow lives on in her children. When her husband sees their children laugh he is reminded so strongly of her that she may as well be in the room, ‘They startle you `when they laugh. / She sits there smiling’. ‘A Letter from Brooklyn’ is another poem that offers hope to the bereaved. Mabel Rawlins, a friend of the family, writes to the poet about his dead father. She is convinced that this man, who died twenty-eight years ago, is at God’s side in heaven, ‘he was called home, / And is, I’m sure, doing greater work’. Mabel’s unquestioning faith helps to overcome the poet’s own doubts about the existence of God and ‘restores’ his belief in the afterlife, ‘I believe. / I believe it all, and for no man’s death I grieve’. Just as I would recommend Walcott’s poetry to anyone who has had his or her heart broken by the break-up of a relationship so too would I recommend it to anyone who has been bereaved. His poetry presents us with a full picture of the sorrow and pain of bereavement. Yet it also suggests that maybe, just maybe, there is hope. 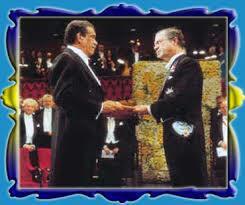 Derek Walcott receives his Nobel Prize for Literature from the King of Sweden King Karl XVII Gustaff – in December 1992. Next Article The Treatment of Women in Seamus Heaney’s Poetry – a feminist critique.